Orlando, FL - When the Universal Orlando theme park opened in 1990, it was a way for visitors to have fun inspired by the movies they loved — without traveling to California. Jason Surrell, creative director at Universal Creative, saw that ad while still in college. “This is one of the reasons I moved down to Florida because at the time I knew it was becoming Hollywood east,” he said. 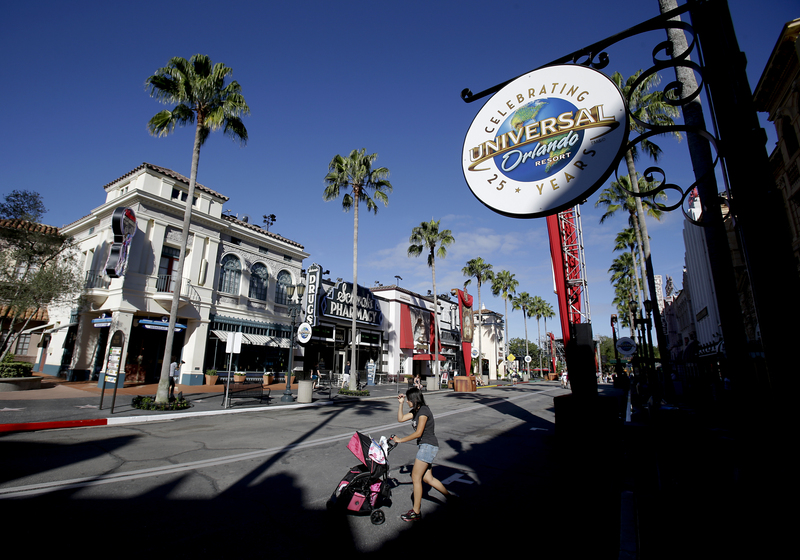 One thing the new Florida park couldn’t do was show visitors the authentic Hollywood backlots in Los Angeles where Universal has made movies for over a century. Those backlot tours remain a staple of the company’s first theme park, Universal Studios Hollywood, which opened in 1964. 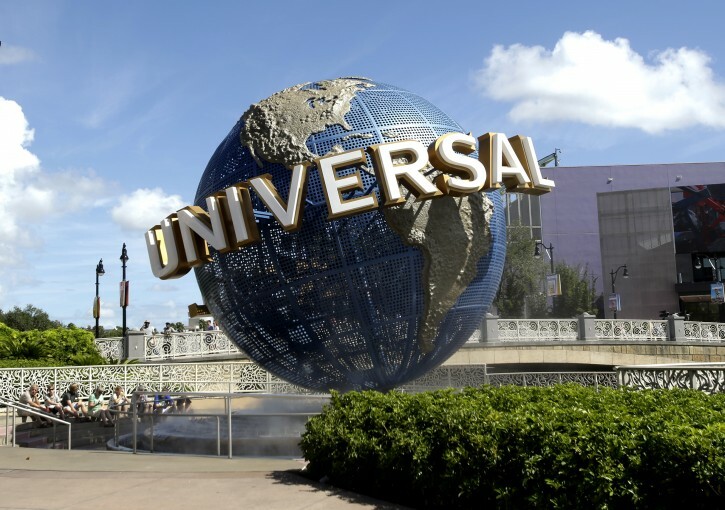 But in the last 25 years, Universal Orlando has emerged from the shadow of its older sister park to forge its own identity celebrating the entertainment industry. It’s built thrilling roller coasters, incorporated the latest interactive technology into rides and in 2010 opened one of the most successful attractions in theme park history, The Wizarding World of Harry Potter, with a second Potter area added in 2014. It’s also grown from a single theme park, the original Universal Studios Florida, to two, with the opening of Islands of Adventure in 1999. That’s when the complex was renamed Universal Orlando Resort. The CityWalk dining and entertainment area was added that year as well. Today there are also four hotels, with 18 new attractions and experiences added in the last five years. Growth through 2017 includes the new Skull Island: Reign of Kong attraction, themed on King Kong, along with another hotel and a new water theme park, Volcano Bay. Both the Orlando and California parks had record attendance this past summer, thanks to the Potter attractions in Florida and the Fast & Furious-Supercharged ride in California. Comcast’s NBCUniversal division, which owns the Universal theme parks, said in October that its parks division generated $896 million in revenue for the third quarter. The Hollywood park will open its own Wizarding World of Harry Potter in 2016. 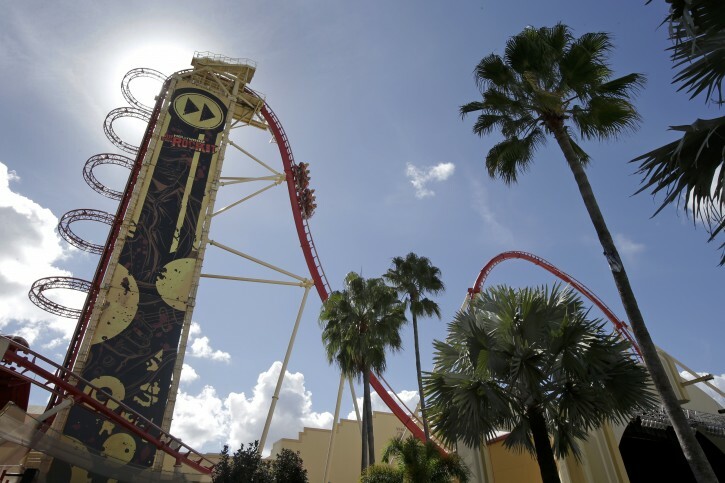 One thing that’s defined Universal Orlando’s rides since the beginning is an emphasis on the latest technology, said Chick Russell, a Universal Creative director and executive producer who’s worked on the Potter attractions and others. Even in the park’s early days, the E.T. Adventure ride invited patrons to tell the host their names at the beginning of the ride, and a robotic E.T. would repeat the names later. “That was a pretty advanced thing to do 25 years ago,” Surrell said. In 1996, the Terminator 2: 3-D attraction opened, bringing 3-D effects and live-action actors to the park. More recent rides, like those inspired by “Spider-Man” and “Transformers” movies, “create the illusion of speed and the excitement you wish you could live when you see the films,” Russell said. The Harry Potter attractions offer an even more immersive experience, wrapping guests into a realistically detailed fictional world the minute they step into Diagon Alley. It’s a trend Universal expects to continue in its next 25 years. I know that as a frum Jew, a visit to Universal or the Disney parks would not be the same without Chabad and Rabbi Konikov. They've done an unbelievable job or building a community and offering all kinds of services a frum travelers need. Kosher food, minyonim, mikvah. Kol hakavod Rabbi Kanikov. A lot if hatzlocho. You've made my family happy.